These presentation slides 35523 are complete compatible with Google Slides. Simple download PPTX and open the template in Google Slides. 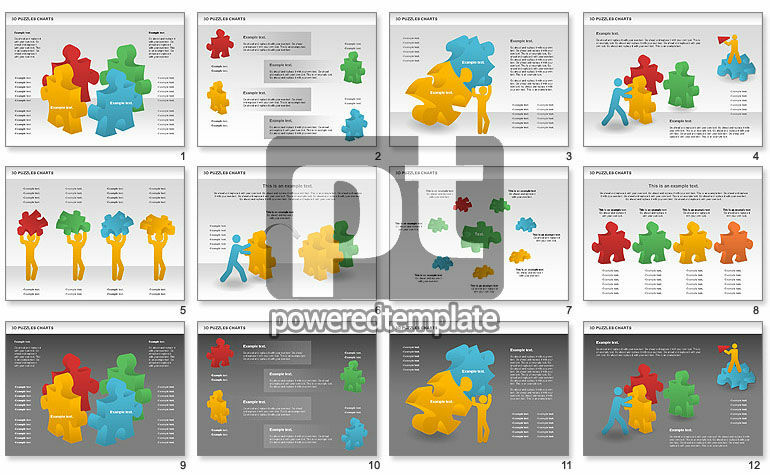 3D Puzzles Charts will fit for presentations in which you need to show processes of determine solutions, solve the puzzle, find the best solution, identify the problem, etc.